Now offering radius corners for ease of cleaning and an extended base extrusion to accommodate up to 6” of coving! 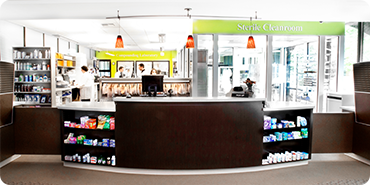 Travis Cleanair is a sole source cleanroom provider that has been satisfying customers for over 20 years. 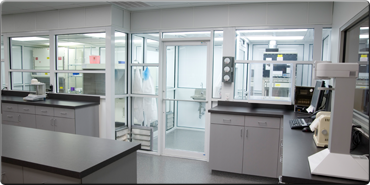 Our custom cleanroom suites are American made with cleanroom rated components that have been tested and built to last. 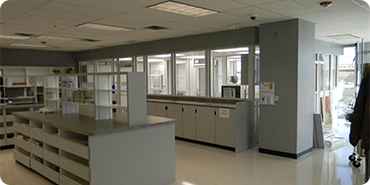 Our custom design allows us to update, expand, or move the cleanroom suites easily with limited downtime. We’re dedicated to a high ethical standard – from assessment and design, to construction, delivery/ installation and follow up. We don’t just think about modular cleanrooms. We think about all sides and every space in between. At Travis Cleanair we don’t see limitations. We see possibilities. TCA is making promises and sticking to them. Being the only cleanroom provider owned and operated by a registered pharmacist, we offer a unique perspective with a detailed understanding of your daily concerns- because we came from where you are. From start to finish, we are here to offer you continued support.